Red energy is tps game with elements of puzzle game. The game is heavily inspired by PC game called Kumoon. 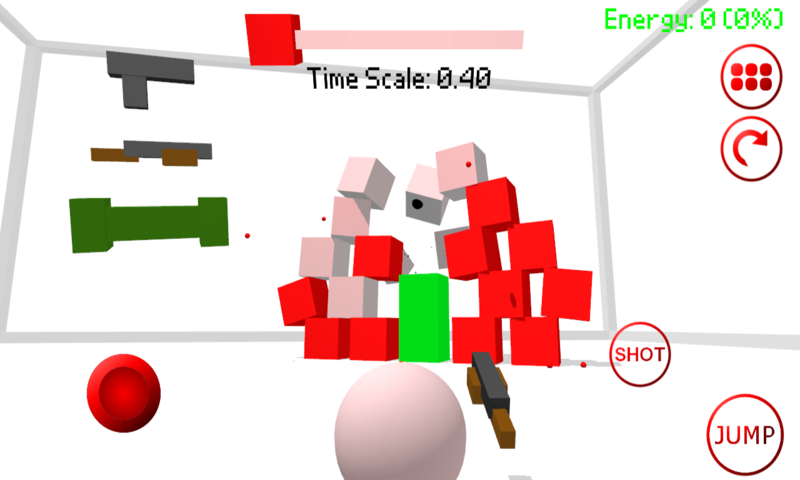 Your task is to collect the red power falling out of the red blocks using a minimum number of shots. You can also push the white blocks to topple the red. The first shot you can give with any weapon without losing energy, the next will cost you a lot. Version 0.91 - acid cubes, new score counter! The version 0.91 has been release on Google Play.